BEAUMONT — The 409Sports' Band of the Week for week four of high school football in Southeast Texas is the West Brook High School band. West Brook beat Der Park High School 199 - 19. 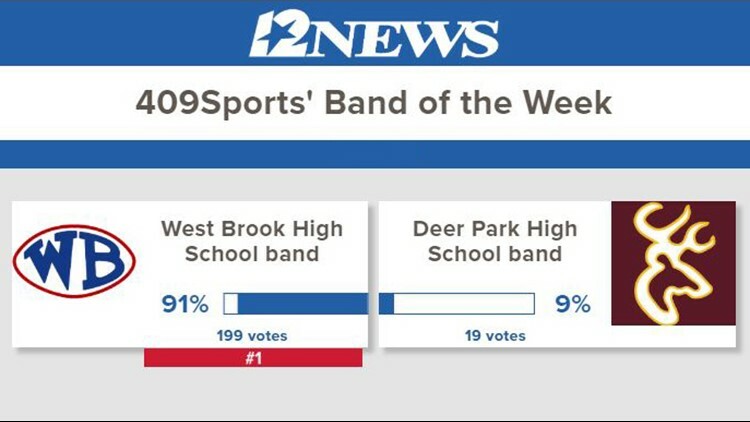 Be sure to watch 12News Sunday evening at 5:30 p.m. for the announcement of next week's #409Sports Band of the Week contestants!